UPDATE 4/25/14: Unfortunately the DNA Scarf workshop is cancelled but you should still check out Sticky Art Lab, it's a great place to get creative. 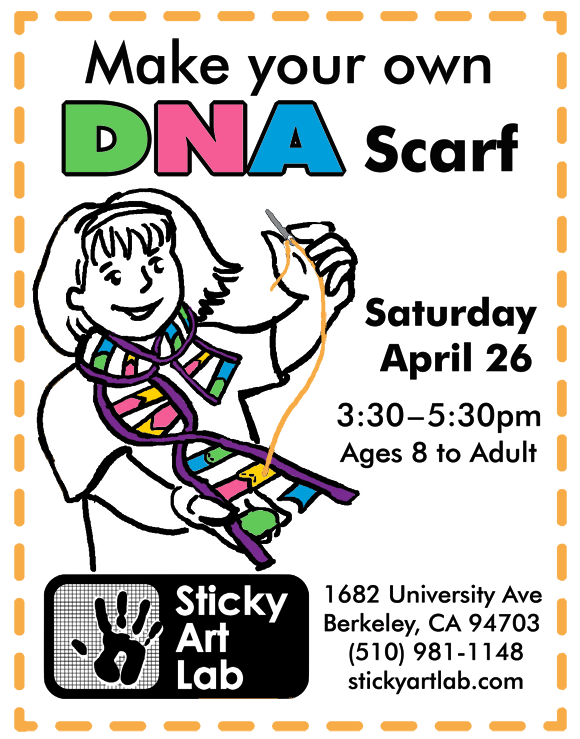 This Saturday, April 26 at Sticky Art Lab in Berkeley, I'll be leading a workshop to make a scarf inspired by the structure of DNA. You'll get to pick out the colors from a rainbow of fleece fabrics and sew together the shapes in a specific pattern that matches DNA pairs. 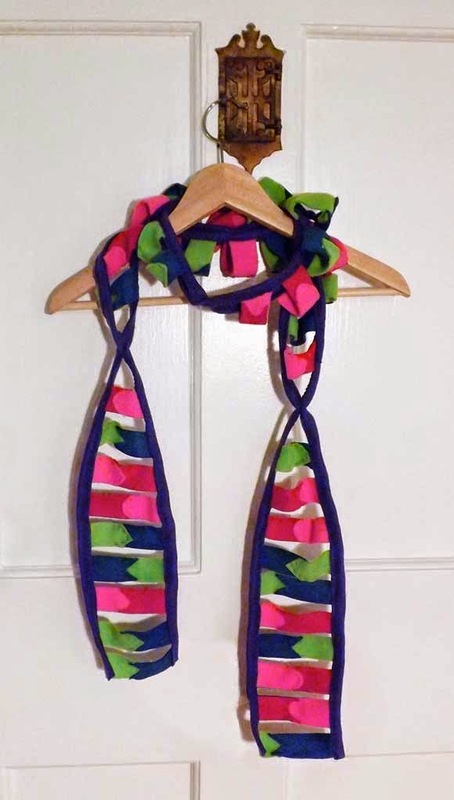 I previously made this knitted DNA scarf, but I needed to simplify so that kids could make it. Even beginning knitting takes awhile so I went with constructing it from easy to use fleece fabric. Here's the sample I made. Come join me if you're interested, the workshop is open to all ages 8 and up. For more info check out the Sticky Art lab site.